Transfer the visual characteristics of one video to another. The program matches the colors and tonal values of two separate videos fully automatically. 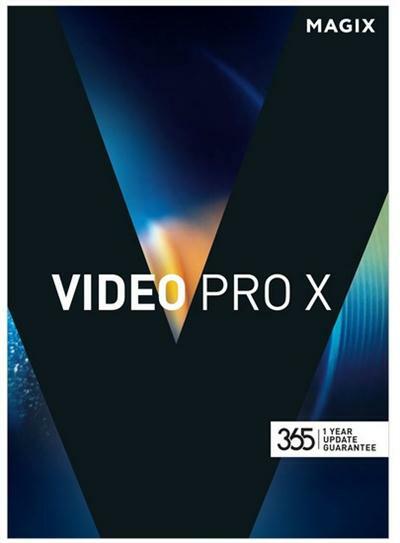 Video Pro X provides a wide range of options for editing footage from the latest 360 degree cameras. Use 4K material to create sections and image details in lower-resolution footage. - Modify color and light to give your film a classic look. - Color Fixer Pro: Adjust the color balance, saturation and brightness of images. - Gradient Tint: Intensify image colors using a wide range of filters. - Spotlight: Set an area of an image under a spotlight. - Glow Pro: Create a warm light by adding highlights to the original image. Detailed color and tonal value correction enables you to edit luminance and individual RGB channels precisely. The over 250 brand new title templates have been completely redesigned and feature a modern look and structure. You can now use OpenFX standard plug-ins as a video effect from directly within the Mediapool. Video Pro X is the world's first video editing program to support Intel HEVC/H.265 with ultra-fast hardware acceleration. The latest version includes native support for Apple ProRes video codecs.